Australian teenager, Jaime Richards, returns to her dear Pakistan in the second book of the Beyond Borders series.The old world charm is still there — the villages, the bazaars and the mysterious rugs — but Jaime no longer feels safe and confident in this new Pakistan. 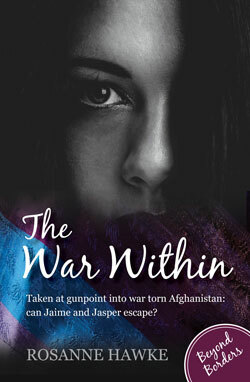 Taken at gunpoint into Afghanistan, Jaime, Jasper and Liana are caught up in a shadowy secret world of intrigue and terrorism. Will they escape their abductors? Or will the wars within themselves consume them? For Jaime this trip is to prove painful enough to change her life forever, yet rest the ghosts of her past.